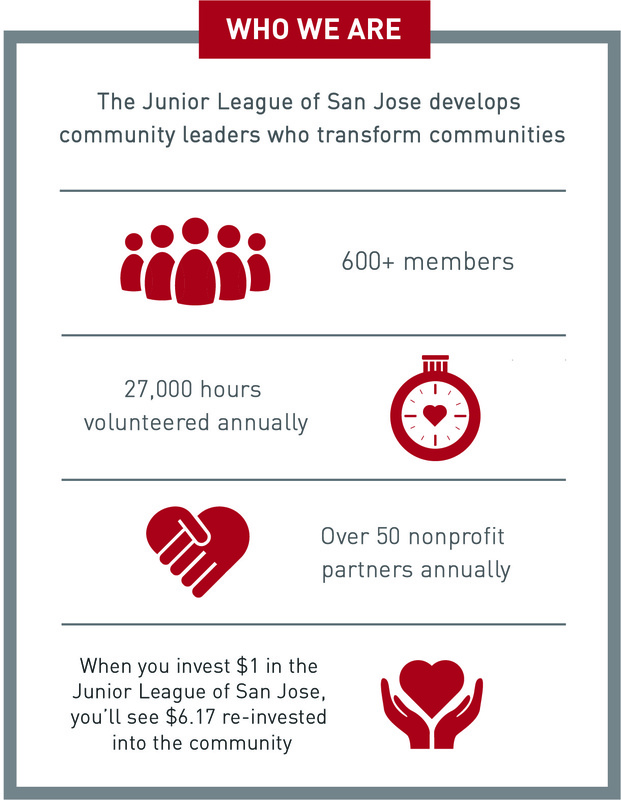 Junior League of San Jose is best known for supporting our community through our focus areas and developing servant leaders who continue to make a difference in the greater San Jose area. Provide a welcoming, engaging atmosphere in which the member’s time is greatly respected by continually increasing operational efficiency to allow our members to spend more time in the community. Make a measurable impact in the lives of transitional age foster youth, while providing meaningful volunteer opportunities to our members, showcasing our impact to our community and articulating a clear value proposition to our donors. By the end of the 2020 League year, JLSJ will have made a measurable and visible impact in the lives of transitional age foster youth. Our members feel appreciated and feel their time is valued through relevant work.